Peace activists from around the world gathered in Dublin from 16 to 18 November for the First International Conference Against US and NATO Military Bases, organised by the Global Campaign Against US and NATO Military Bases. The meeting was supported by the US Peace Council and the World Peace Council and hosted by the Peace and Neutrality Alliance (PANA). Up to thirty-five peace delegations from Europe, the Middle East, Africa and the Americas, comprising 350–400 people, attended the three-day event and set out the negative issues caused by US and other NATO military bases that they encounter in their countries daily. A number of activists were not given a visa to enter our country, including Dr Akel Taqul of Palestine and delegates from Serbia and the Philippines. A press communiqué adopted by the conference states that delegates attended from all continents and included speakers from Argentina, Australia, Brazil, Britain, Canada, Colombia, DR Congo, Cuba, Cyprus, Czech Republic, Germany, Greece, Ireland, Israel, Italy, Japan, Kenya, Palestine, Poland, Portugal, South Africa, Turkey, and the United States. As might be expected from our fake-news Irish media, no national newspaper reported on this major peace event, with the honourable exception of the Examiner. A number of speakers addressed the gathering, including Irish peace activists involved in the campaign to close Shannon Airport to US warplanes. Clare Daly TD gave one of the opening speeches. There were contributions from leading peace campaigners, including Fulvio Grimaldi (journalist and war correspondent from Italy), Dave Webb (British CND), Dr Stelios Sofocli (chairperson of the Pan-Cyprian Peace Council), Silvio Platero (president of the Cuban Movement for Peace and Sovereignty of the Nations), Socorro Gomes from Brazil (president of the World Peace Council), Bahman Azad (US Peace Council), Roger Cole (chairperson of PANA), Dr Aleida Guevara (Cuba), and Iraklis Tsavdaridis (executive secretary of the World Peace Council). One of the speakers who stepped in to take the place of the guest speaker from Palestine was a People Before Profit TD, who abused the peace agenda of the conference by launching a verbal attack on Syria and, particularly, on Iran, which is surrounded by thirty-four US and NATO military bases. The countries with the second and third-highest number of overseas bases are Britain and France, two of America’s principal NATO allies. 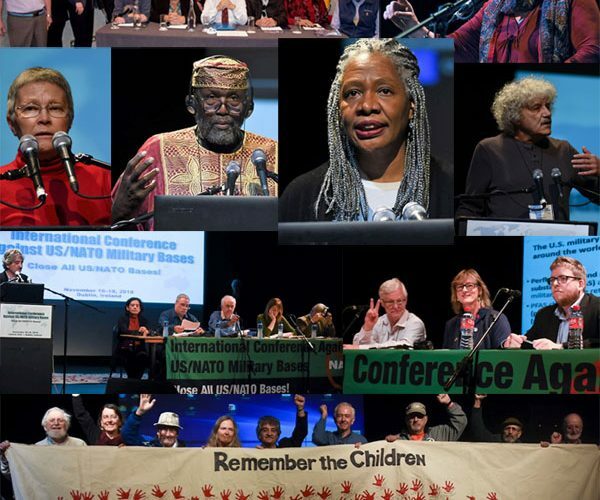 Besides the essential work of starting the building of an international movement against US and NATO foreign bases, the conference recognised that it is only through building an international movement that an anti-war movement can succeed. 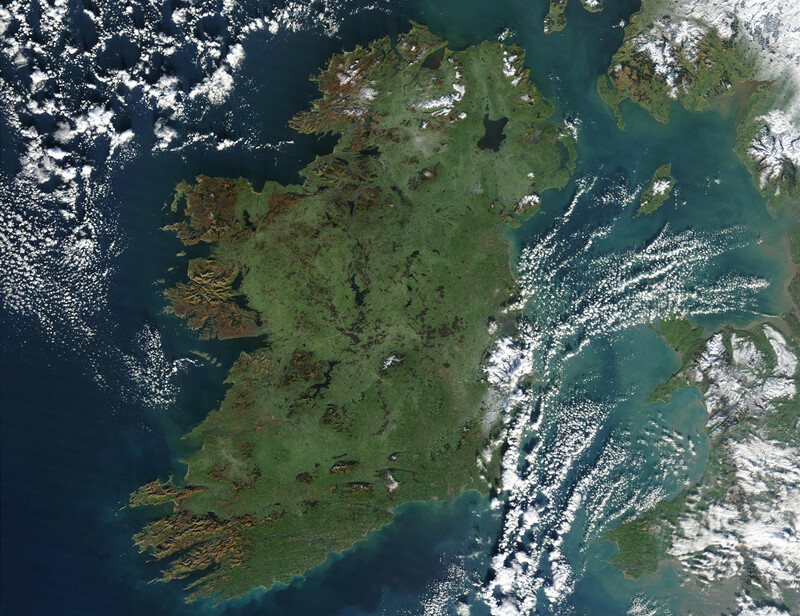 Most delegates acknowledged that the Dublin conference was probably the biggest international anti-war meeting to take place for a long time. All believed that it was very timely, as our world becomes more and more unstable and the growing military build-up by the United States, its NATO allies and the new PESCO militarisation of the EU pose grave dangers to both world peace and the global environment. 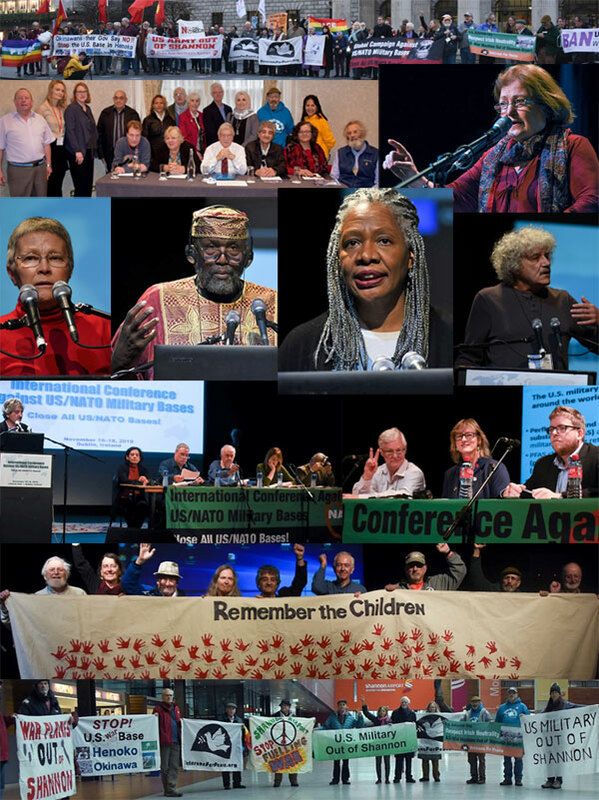 The conference adopted decisions on two important events that can help build this movement into a truly global anti-war movement and to involve more organisations and the mass of people who are concerned about the state of our world today. It expressed support for the global mass mobilisations being planned for the summit meeting marking NATO’s seventieth anniversary, which will take place in Washington on 4 April next year. These actions will include a mass protest on the weekend before the summit, 30 March, and other conferences and meeting leading up to 4 April. The conference also expressed its support for the Cuban people’s decades-long efforts to take back their territory at Guantánamo Bay and for the Sixth International Seminar for Peace and the Abolition of Foreign Military Bases, which will take place at Guantánamo on 4–6 May. The delegates did not confine themselves to the conference room. Two rallies were also organised, the first one in O’Connell Street, outside the GPO, where delegates gathered to hold a rally. The second peace manifestation took place inside Shannon Airport. Delegates travelled to Shannon when the conference ended to show their solidarity and to protest against the continued use of the airport by the US military and for CIA “rendition” flights.